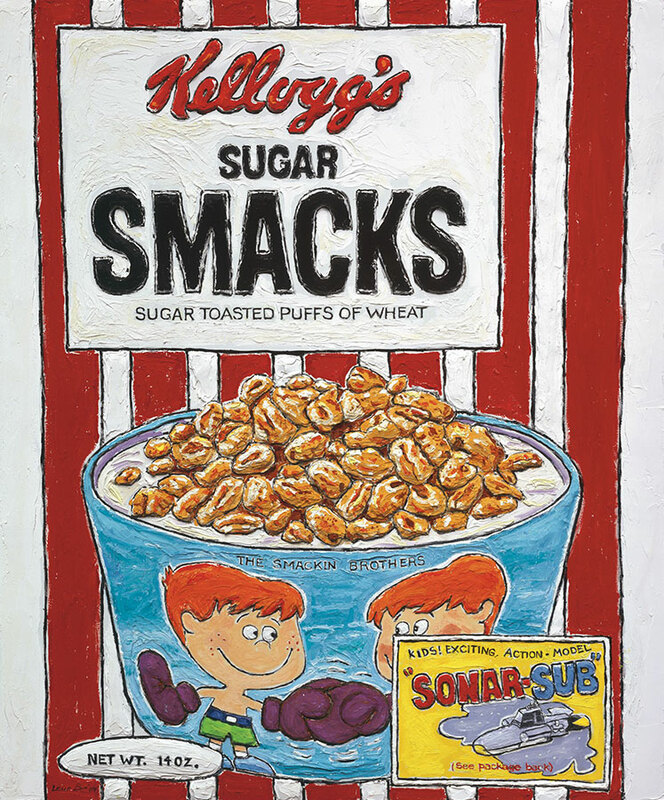 The Pop art movement, thought to have originated in 1947 with the painting “I Was a Rich Man’s Plaything” by Scottish artist Eduardo Paolozzi, emerged in the mid-1950s in Great Britain and by the late 1950s had begun to upstage Abstract Expressionism. Characterized by such subject matter as mass-produced objects, advertising, comic characters and other aspects of mass culture—think of Andy Warhol’s soup cans and Roy Lichtenstein’s comic-strip characters—Pop art was recognizable and understandable by anyone. Leslie Lew, who began exhibiting in 1981, follows in the tradition of the earlier American Pop artists by depicting such well-known characters from comic strips as Mickey and Minnie Mouse, Snow White, Popeye, Superman and Wonder Woman. Her other subject matter comes from common early childhood experiences: popular 1940s-era primers and the universally loved Animal Crackers. Disney characters are some of her favorite subjects. I’m honored to have the approval to create some of the most special Disney images,” she notes. Leslie Lew’s first exhibition at ArtSpace/Virginia Miller Galleries will open on Friday, May 3, 2013 and will include sculpted oil paintings and sculpture, cast paper paintings and monotypes.